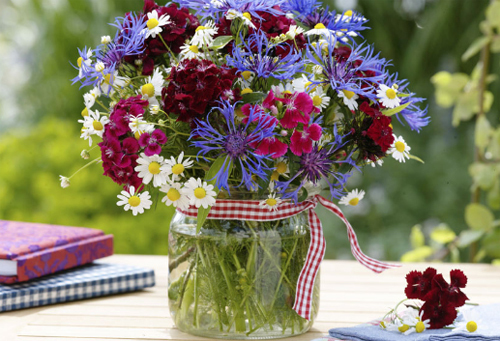 * Cut the flowers in early morning while the flowers are rested. * Select flowers in the bud stage, right when they begin to pucker. * Strip foliage that would be below the water line. *Add a teaspoon each of bleach, sugar, and vinegar per gallon of water to keep bacteria from forming. * Change water every five to seven days. 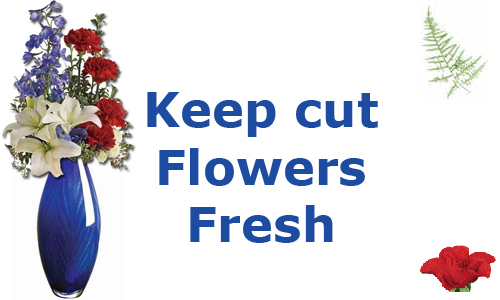 * When arranging fresh cut flowers, match the water temperature with the season: For spring flowers, use ice water, for summer use room temperature water; and for winter flowers, use cool water. * Try to match the vase or planter with the type and color of flowers that you are arranging for a blended look.